Correct Coding Initiative (CCI) Edits are one of the leading causes of Medicare denials. These edits highlight particular CPT® code pairs that will result in the denial of one of the tests or procedures if performed on the same date of service for a Medicare beneficiary. Medicare contractors are required to employ literally thousands of these edits. To further complicate matters, the edits are subject to revision on a quarterly basis. Any provider that is unaware of the ever-changing CCI edits that apply to his/her tests or services is at risk for denied claims, lost reimbursement, and potential recovery actions. Concise Listings: Only CCI edits for laboratory and pathology services are listed. 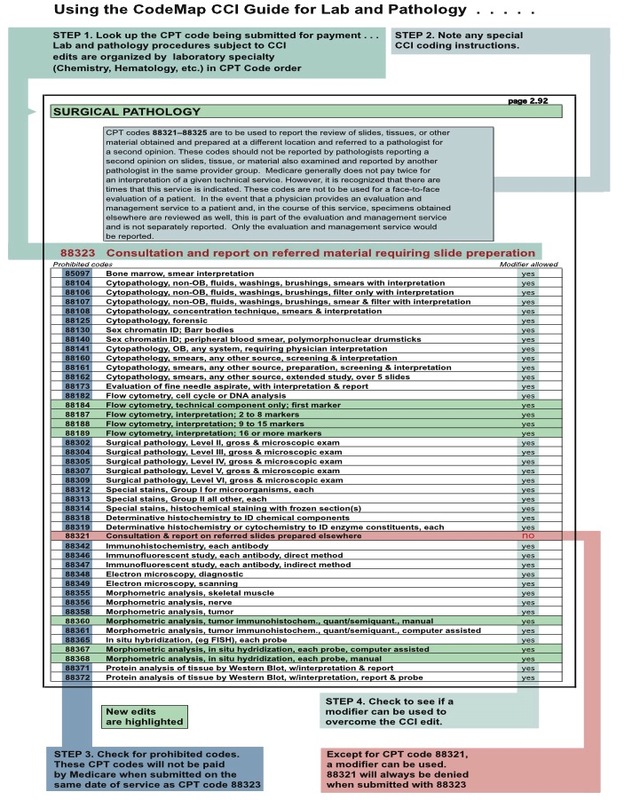 You will not need to sort through hundreds of CCI edits that do not apply to laboratory and pathology procedures. Easy to Use Format: Each edit is clearly listed in an easy-to-use and understandable format. Simply look up the CPT code in question and check to see if any other procedures will be denied if performed at the same time. If the CPT code is not listed, no edits apply. See sample page. 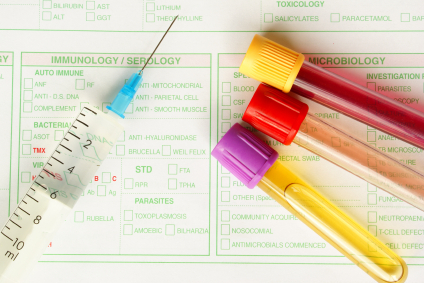 Provide quick answers as to why a given test or procedure was denied. Inform ordering physicians of test combinations that will result in denials.